How often do you take time out for you? We don&apos;t mean time to pick up your dry cleaning or the time that you spend grabbing a quick latte or answering an email while also sitting at your desk, watching the kids and somehow managing to eat lunch. We mean a bonafide girls&apos; night out, better known as "Chick Night" as per author, Colleen Kleven. Colleen, a single mother, self- employed business owner, writer, presenter and all things woman, knows about busy schedules. She knows there are never enough hours in the day, week or even year. She gets it, she really does, which is exactly why she wrote her first book entitled, The Beginner&apos;s Guide to Chick Night . 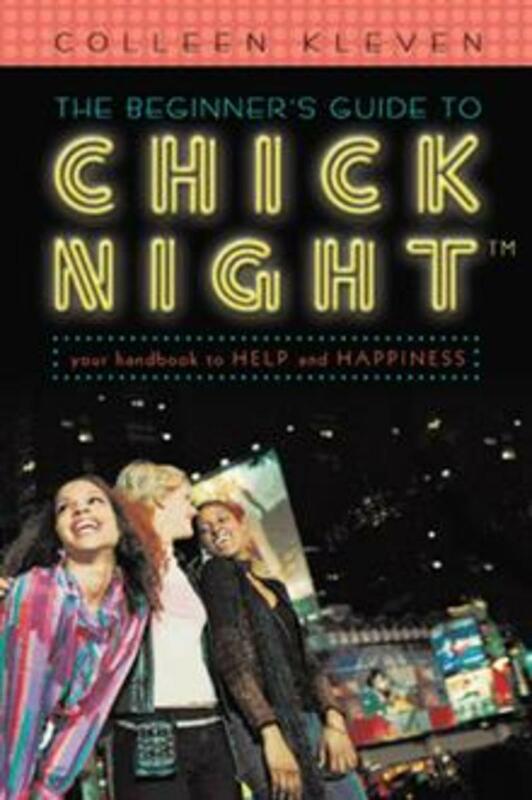 The Beginner&apos;s Guide to Chick Night is a lighthearted book with a serious message, take time to be with your girlfriends or risk losing out on one of the most uplifting, supportive and fun pieces of your life puzzle. A message that shouldn&apos;t be taken lightly. Kleven organizes her book as a "How to..." and suggests you follow her 10 rules to creating and maintaining your very own Chick Night. Spending time with a small group of women, (she advocates once a month!) who fully understand your life stresses, in whom you can confide, share a laugh or cry, is invaluable. We all need to take time to recharge our batteries, let our hair down and bond with our female friends, (by the way that&apos;s another rule, no men, no kids! Just ladies!). She shares her experiences, her trials and tribulations and confesses that without "Chick Night" her life would be too challenging to go alone. She notes that "Chick Night" is not about spending money, going"out" or trying a new eatery. It&apos;s all about the friendship, love and support from those closest to you. What happens at Chick Night stays at Chick Night. Keep It Simple Sister (KISS), is one of our favorite rules because some of my best memories with my "Chicks" involved nothing more than a living room floor, a bunch of chocolate treats (THE first rule!) and my girls. Colleen Kleven&apos;s The Beginner&apos;s Guide to Chick Night can be read cover to cover or used as a reference in taking guilt-free time for yourself. We all know how we feel after a "Chick Night", why not make it a monthly way to let off steam, take a time out and be a better YOU? Ms. Kleven will show just how to do it. The Beginner&apos;s Guide to Chick Night can be purchased on Amazon. Michelle S. is a SAHM and self-described "green" fashionista. She is a NYC woman, turn burbs mama, raising her 2 B&apos;s in an eco-conscious manner. She blogs about natural parenting and green living at www.everythingsabuzz.com.Visit her @queentob on twitter. Momtrends was not paid for this post. We did receive a copy of The Beginner&apos;s Guide to Chick Night for the purposes of this review.